South Africa’s opposition party, the Economic Freedom Fighters (EFF), has tabled a bill before parliament seeking the nationalization if the country’s central bank. 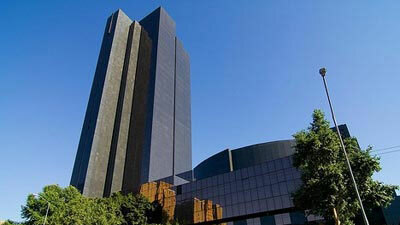 Unlike most central banks around the world, South Africa’s Reserve Bank is one of the few that are privately owned. Currently the shareholders can elect seven of the reserve bank’s 10 non-executive directors, who have no official sway over policy. The proposed amendment would have the finance minister appointing the board. Julius Malema, the leader of the EFF, was a former leader of the ruling African National Congress youth wing who was expelled for his radical opinions during the presidency of Jacob Zuma, who was replaced by current President Cyril Rhamaphosa. The EFF is also pushing for a bill to seize lands acquired under apartheid without compensation for redistribution to landless black families. Malian President Ibrahim Boubacar Keita won a second five-year term in office following run off elections with opposition challenger Sumaila Cisse. Keita won 67 percent of the vote to Cisse’s 33 percent in results declared on Aug. 16. The opposition alleges the vote was marred by fraud and hundreds of Cisse’s supporters marched through the capital, Bamako, on Aug. 18 in protest. Mali is facing a major security challenge in parts of its north with a rebellion by the Tuareg ethnic group and mounting attacks by Islamist State affiliates, for which French forces and United Nations troops are deployed in the region. Nigeria’s Senate President Bukola Saraki said he’s considering running against President Muhammadu Buhari in elections due in February next year. Saraki, who recently switched allegiance from the ruling All Progressives Congress to the main opposition People’s Democratic Party, said Buhari has failed to provide investment-friendly leadership and is taking the country into dictatorship. Buhari, who had won elections in 2015 that marked the first time the opposition was winning power from an incumbent in Nigeria’s history, is seeking a second four-year term. The coalition that brought him to power has partly unraveled, with several key members returning to the PDP. Angola, Africa’s second-biggest oil producer after Nigeria, will set up a new oil-industry regulator as part of the reform of its energy industry. Under the new structure, the state oil company Sonangol, will limit its responsibilities to managing the country’s upstream assets (covering exploration and production) as well as downstream assets (refining and distribution) of petroleum products.